Category: Ebi (prawn). Season: spring. 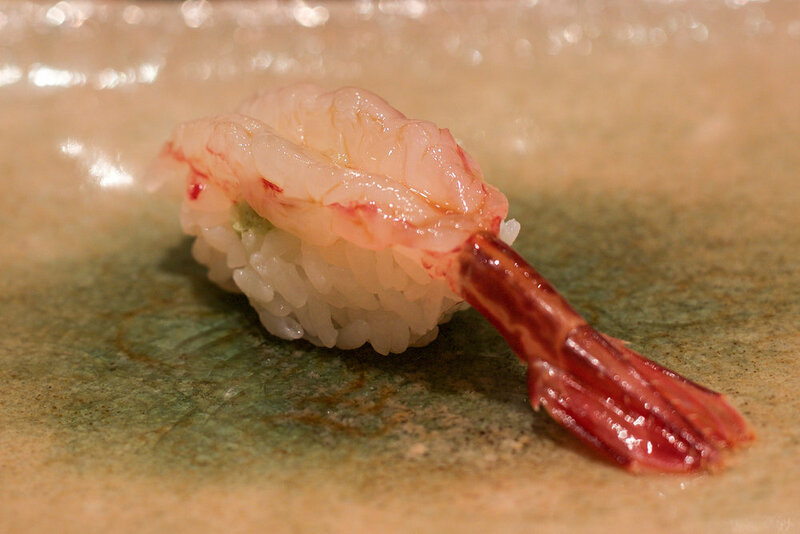 Shima ebi catches are small, and therefore it can be expensive. Its "shun" is during the spring time, especially during April and May. The juicy flesh provides a refreshing texture and sweet flavor that is comparable to amaebi and botanebi. It should be kept alive until just before consuming, and can be served either raw (as pictured above) or cooked.